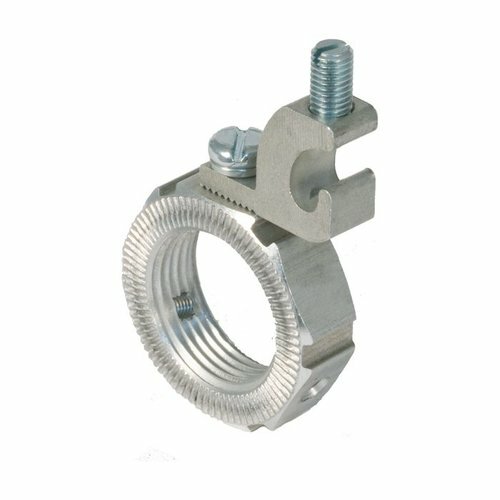 CMP Products’ Grounding locknuts for use with cable glands, conduit fittings, tubing (EMT) fittings and conduit as a means of reliably and safely bonding the locknut (and gland) to the enclosure or equipment. Providing electrical continuity and tested to the requirements of CEC and NEC wiring codes CMP’s grounding locknuts reduce the chance of equipment failure, downtime, power interruptions and eliminate potential safety issues. NPT grounding locknuts are supplied as standard in aluminum and Metric in nickel plated brass. Grounding Locknuts with Lay-in-Lug are available in Nickel Plated Brass & Stainless Steel. Lay-in-Lug will always be Aluminum regardless of locknut material. Lay-in-Lug may be angled or straight design, remove ‘A’ suffix from order reference for straight design. *Only the straight lay-in-lug design is available for 6-250 AWG.